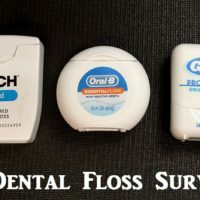 Sensible Prepper Presents: Dental Floss Survival 20 + Uses. Continuing our series on using common everyday items for Survival. You need to "Improvise to Survive!" T-Shirt from Bear Arms Tactical Apparel: http://www.beararmstacticalapparel.com/ Thanks For Watching~ Sootch00 Music is from Jingle Punks Royalty Free Music through the Fullscreen Network. Used with permission.